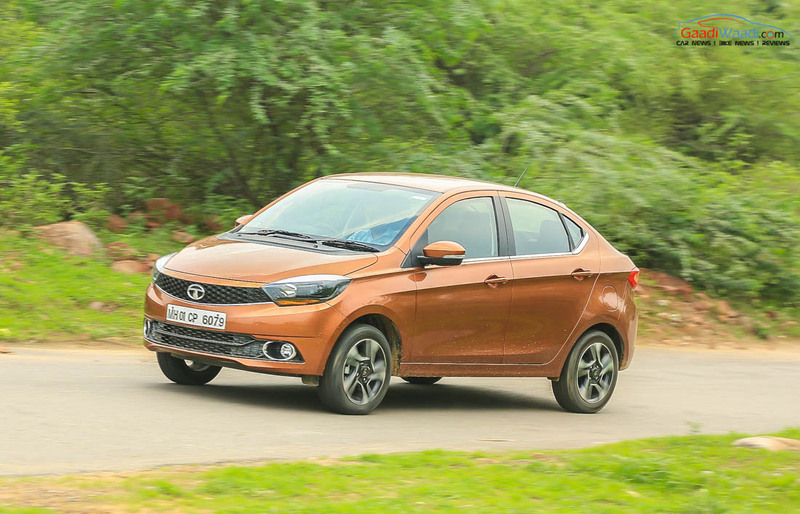 Tata Motors’ new product strategies out of a fresh design philosophy have been working wonders for them lately and the Tigor subcompact sedan was the latest to have reaped benefits. 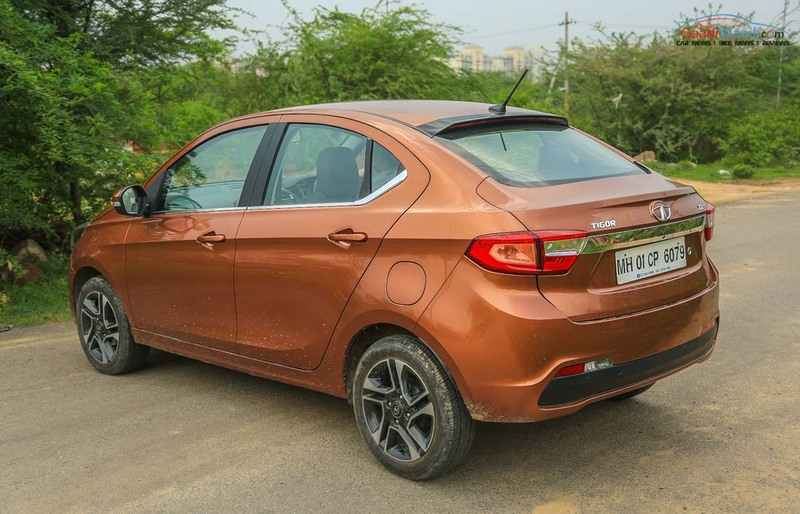 It is essentially more than just a Tiago with a coupe-ish roofline and a large boot and has been well-received in the highly demanding segment that has all the major players fight out for honours. 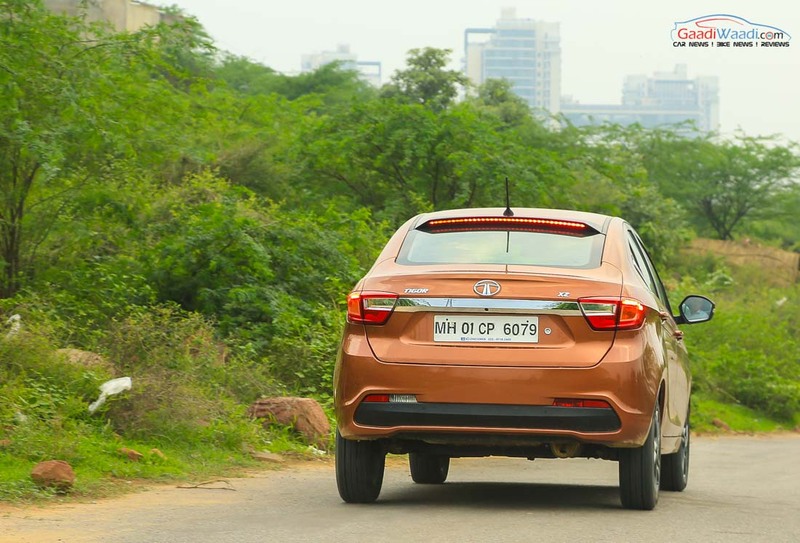 With the Tigor averaging over 2,500 units since its launch at the end of March, we felt the need to test this sedan and come out with our opinion. 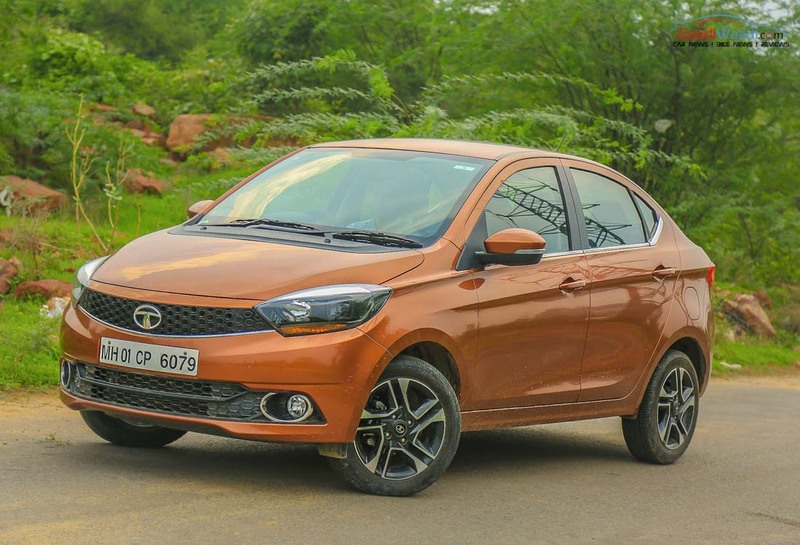 Tata is not new to the sub-four-metre sedan space though as the Tigor is the third model through the years following the footsteps of the successful Indigo eCS. 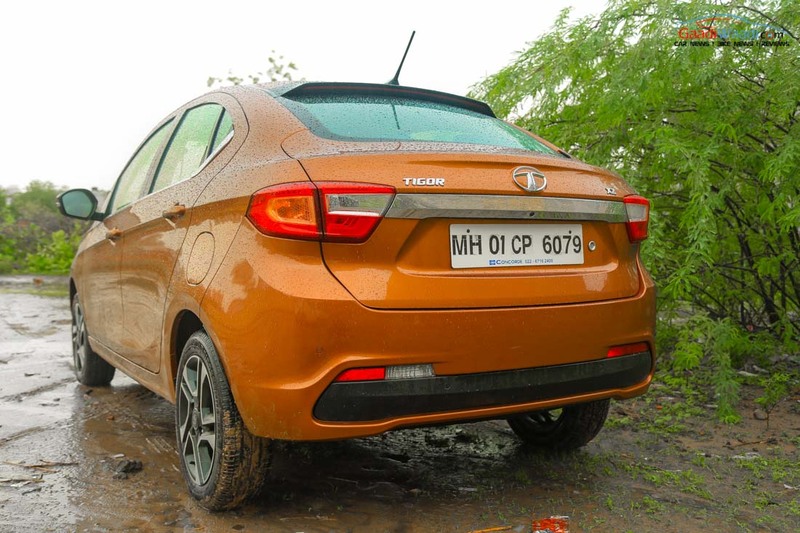 The Tata Tigor is the subcompact sedan version of the brand’s bestselling Tiago hatchback. 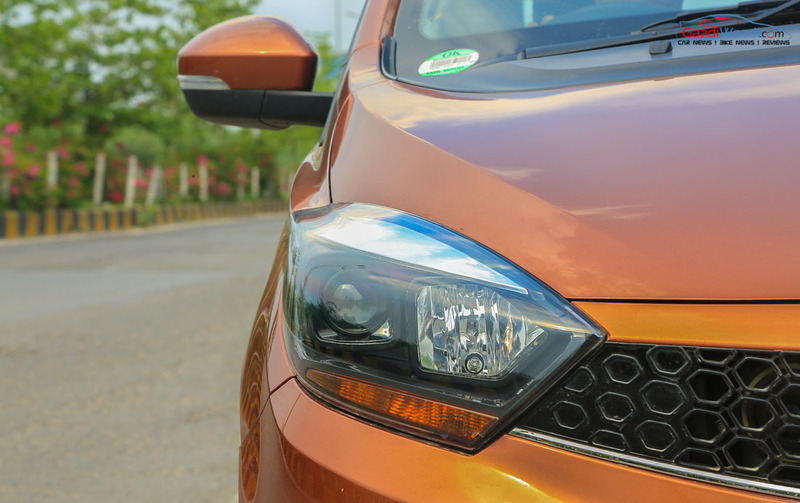 The front fascia is identical in terms of design but the Tigor has got a sporty front grille with hexagonal elements and a smoked out twin barrel headlamp with low beam projector and halogen high beams. 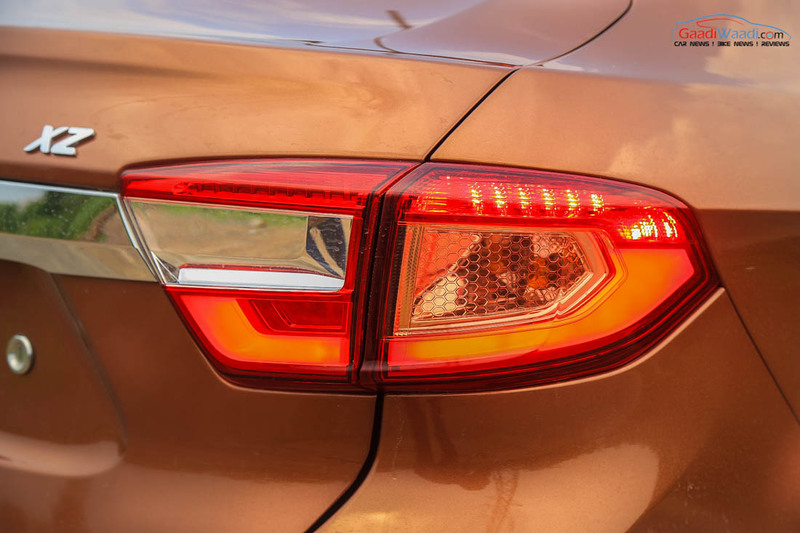 The LED Daytime Running Lights would have made the Tigor even more striking in our opinion. 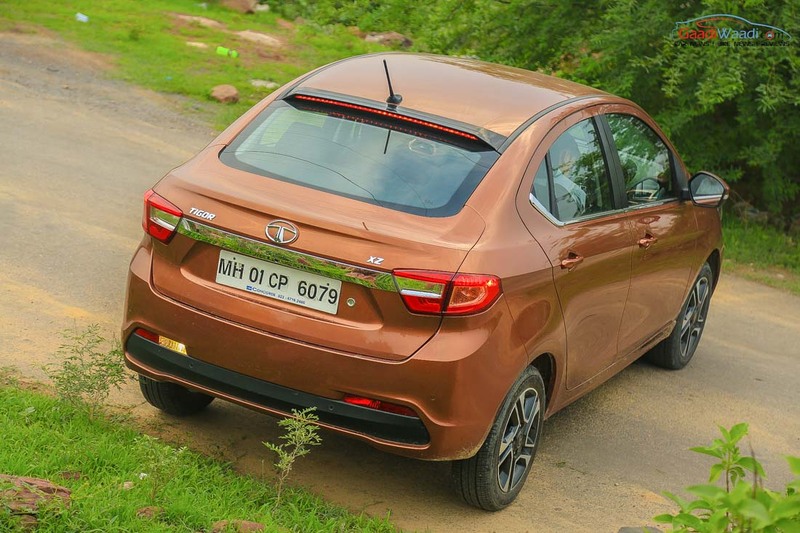 The top of the line petrol version of the Tigor we tested features a 15-inch diamond cut black wheels that go well with the overall design package of the sedan. 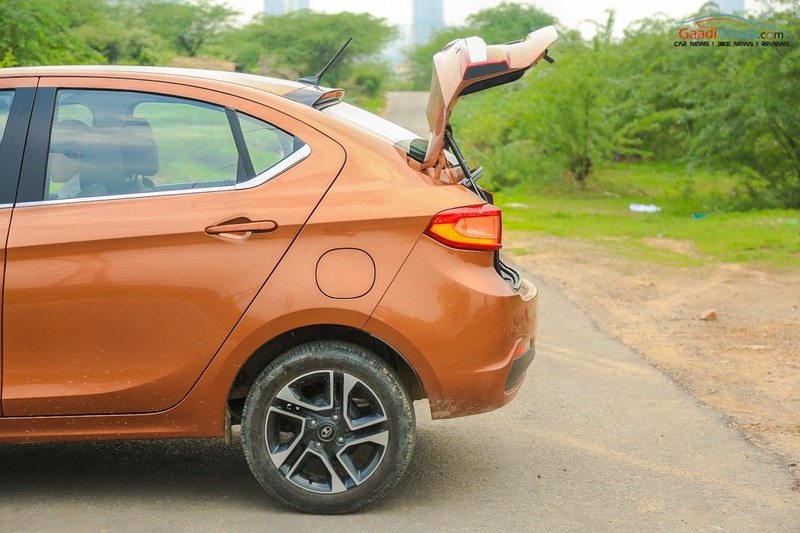 The rear end is the absolute stand out and we got to say the styling has been given a good thought and is a perfect blend between being a visual pleaser and a boot with so much practicality. The coupe styling of the roofline integrates well with the boot. 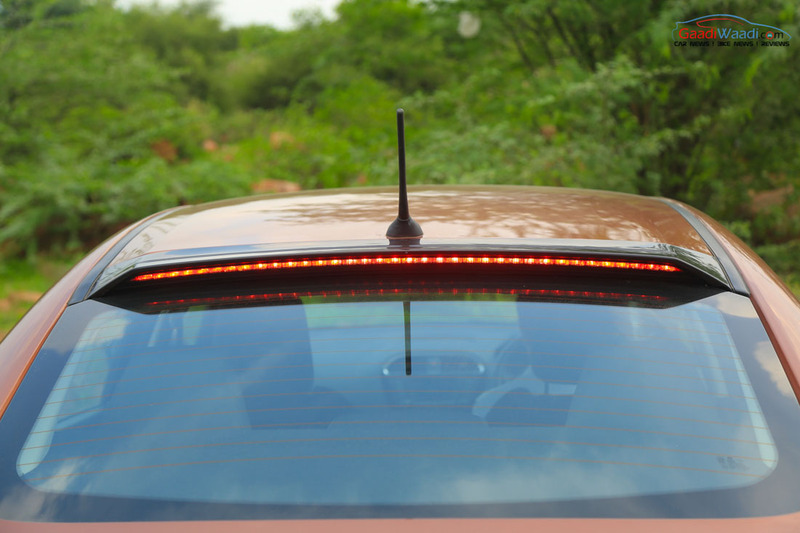 The high mounted roof spoiler with built-in tail lamp glowing end to end. The tail lights are another highlight as they are shaped in a nice manner. The bumpers up front and rear further elevate the overall sporty stance of the Tigor. 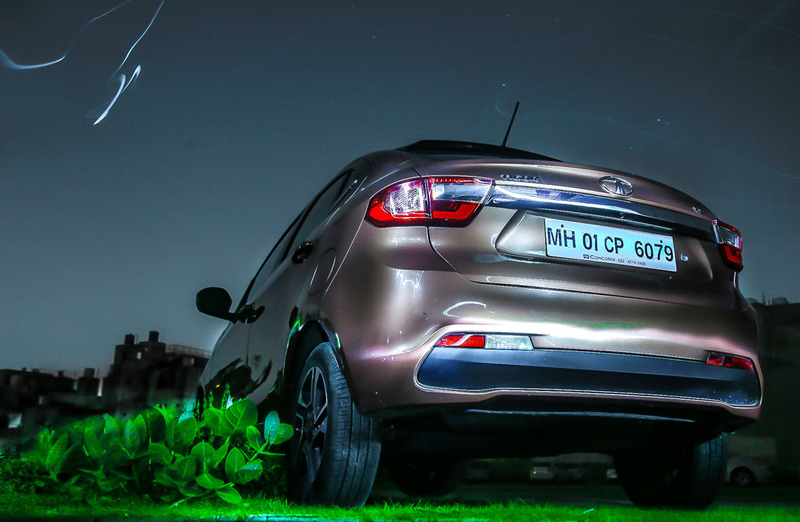 It is by far the neatly proportioned model in its segment and whether considering the prettiness or sportiness it comes out on top beating all odds. 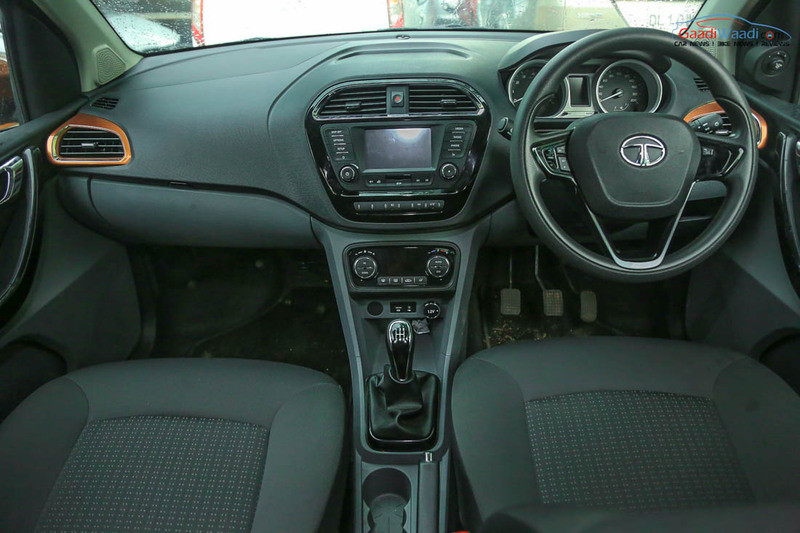 As for the design as a whole, the dashboard appears almost the same as the unit found on the budget Tiago hatchback. However, there are plenty of additional features you would appreciate. 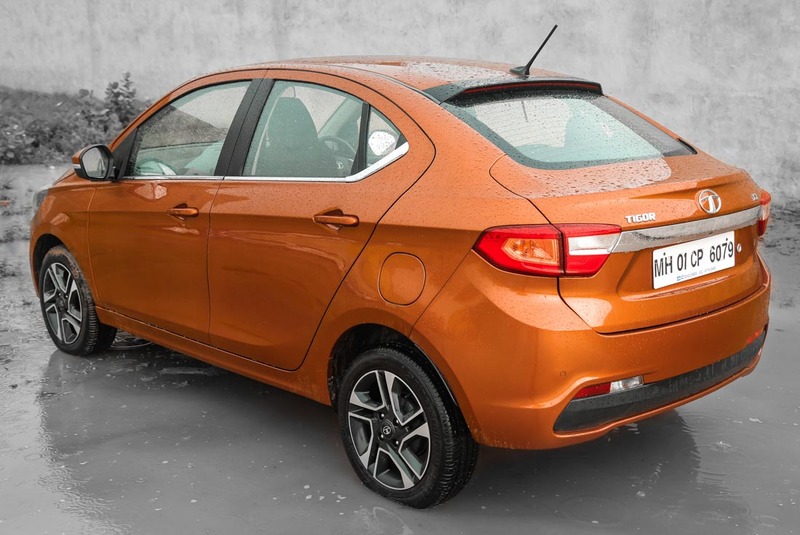 The subcompact sedan comes fitted with a touchscreen infotainment system with Mirrorlink connectivity. It enables you to pair your smartphone and updates on navigation and media right on the display screen. We wish Tata would have added Apple CarPlay and Android Auto though but it had not been the case. 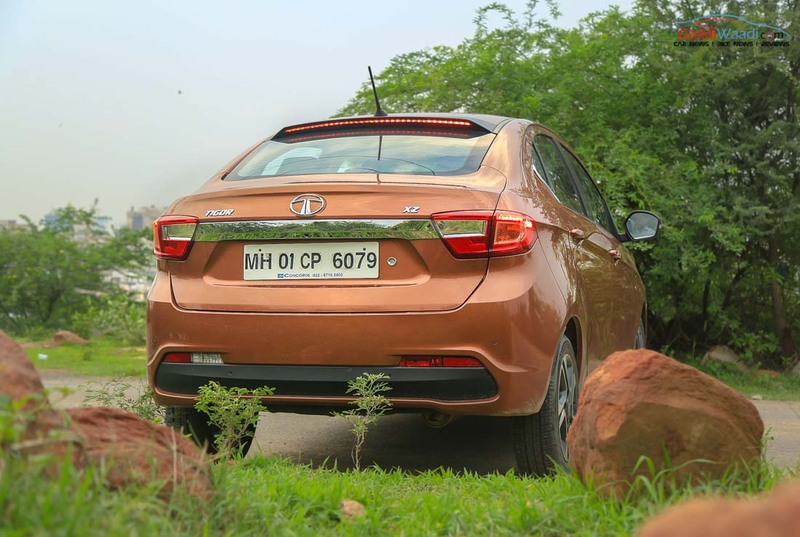 The Mumbai-headquartered company has just introduced new ConnectNext suite to the Tigor and it would add up several useful functions. 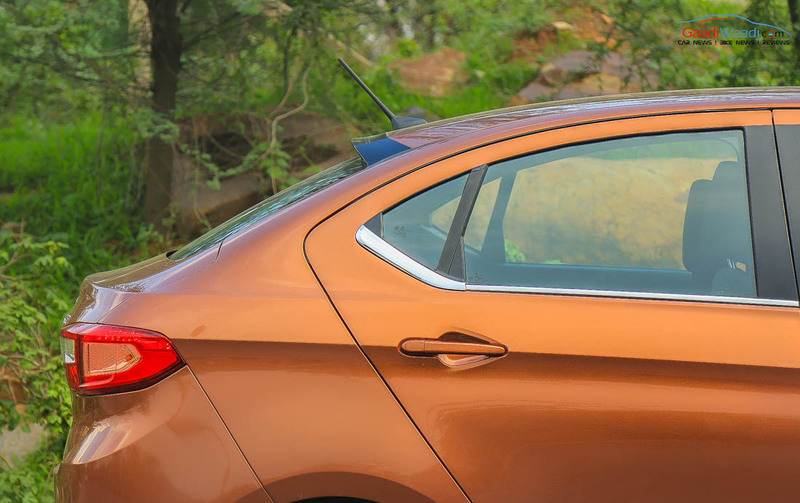 The top-spec variants of the Tigor get climate control and the build quality of the dashboard is pretty solid. In a similar fashion to the Tiago, the AC vent surrounds are colour coded while the instrument binnacle with silver surrounds look distinctive and is easy to read as well on-the-go. 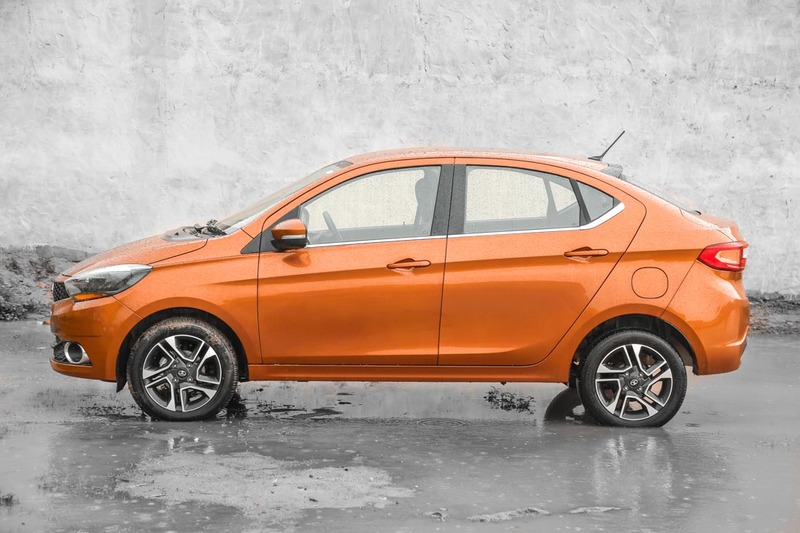 In comparison to the Tiago, the Tigor has 50 mm more wheelbase allowing for additional room at the rear and the seat width is good enough for three passengers with comfort. This is mainly because of the door panels and the rear AC vent module not taking up the middle occupant’s space. There are several useful features to talk about like the rear bench allowing for flip down hand rest with two cup holders, non-adjustable head rests providing enough supports, etc. The storage spaces inside the cabin are indeed very much useful. 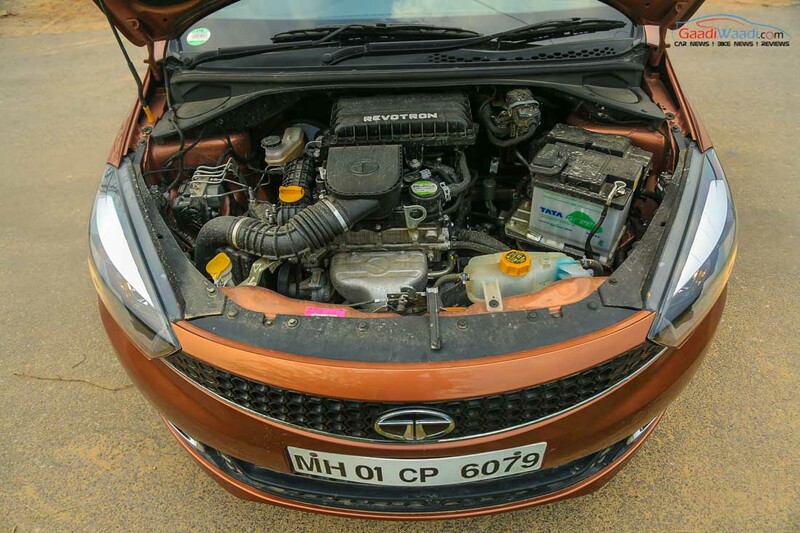 The Tata Tigor’s powertrain comprises of a single petrol and a diesel engine. 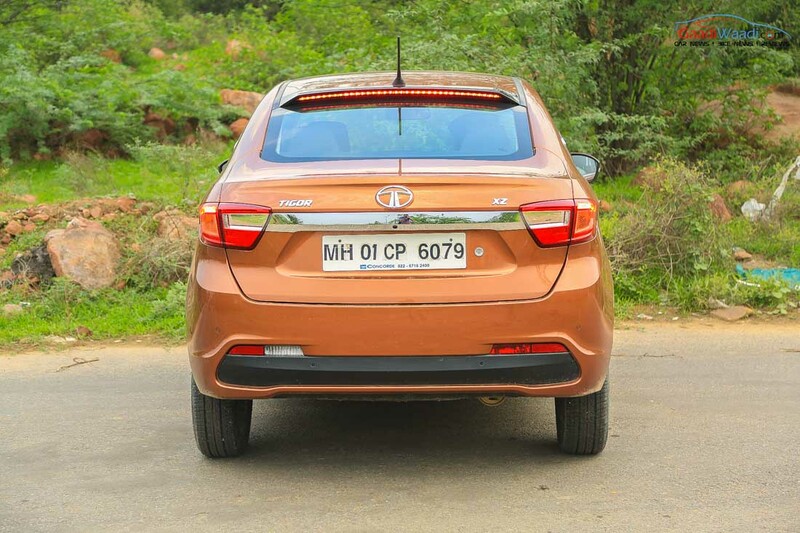 Both the three cylinder motors are carried forward from the Tiago and it has its fair share of advantages and disadvantages. The 1.2-litre Revotron petrol engine we got out hands on was good enough to produce 84 bhp and 114 Nm of peak torque. It is connected to a five-speed manual transmission driving the front wheels. The petrol engine has good numbers on paper but it does have its pros and cons. The primary concern is it will make you feel that Tata could have given more power to the engine. The NVH levels as well are higher than what can be expected when revved to the maximum of 6,000 rpm. It will be of main problem for family based customers on a longer run. On the plus side, the engine will allow for good fuel economy and it is claimed to be around 22 kmpl. 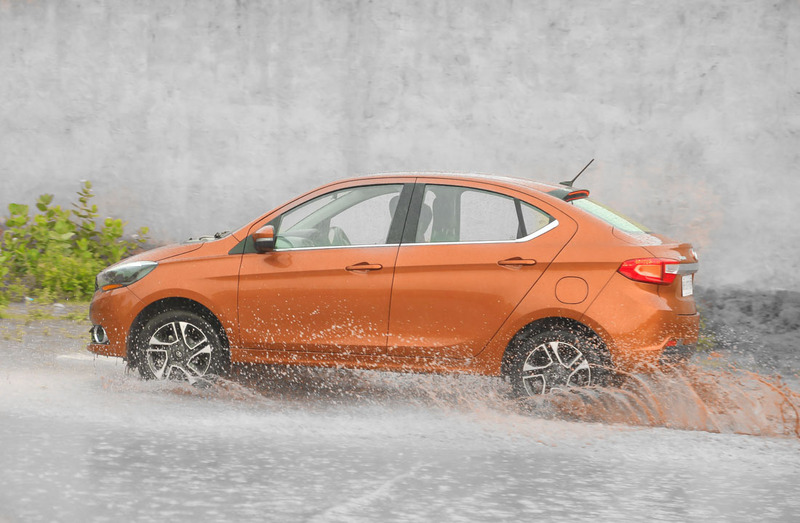 With a light and responsive clutch, the gearbox is fairly decent on the Tigor and it does not annoy you in heavy traffic situations. The visibility from the cockpit is good enough and there are certain adjustments to the steering wheel can be made. 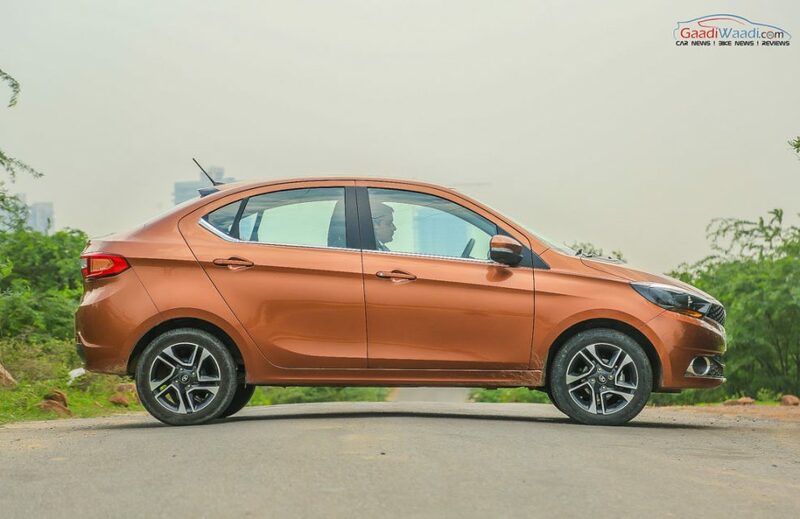 On a positive note, the Tata Tigor has really good balance between handling and ride. 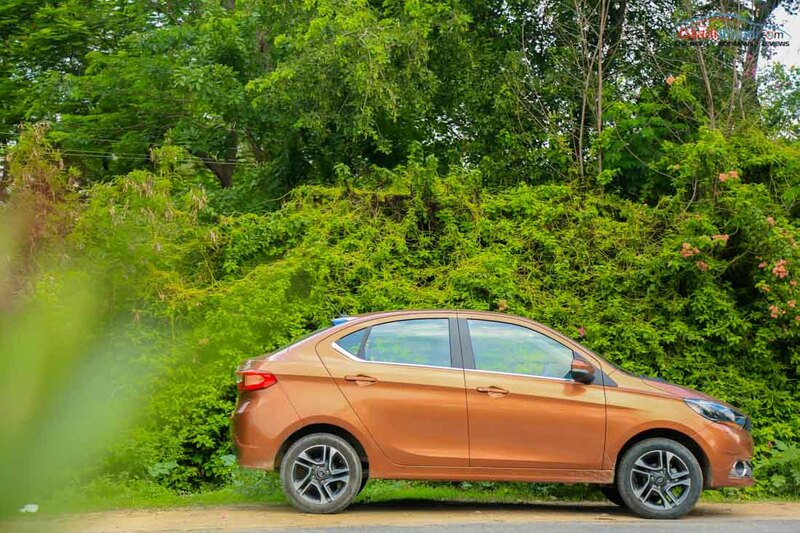 Due to its longer wheelbase, the Tigor feels planted on the road and it is complemented by the larger 175/60 section 15-inch wheels. Even though it is decent, the steering adaptiveness is not as good as we anticipated it to be. Moreover, during high-speed cornering you could endure a fair amount of bodyroll and under steer. The steering wheel carried over from the Bolt sits well in the hand. 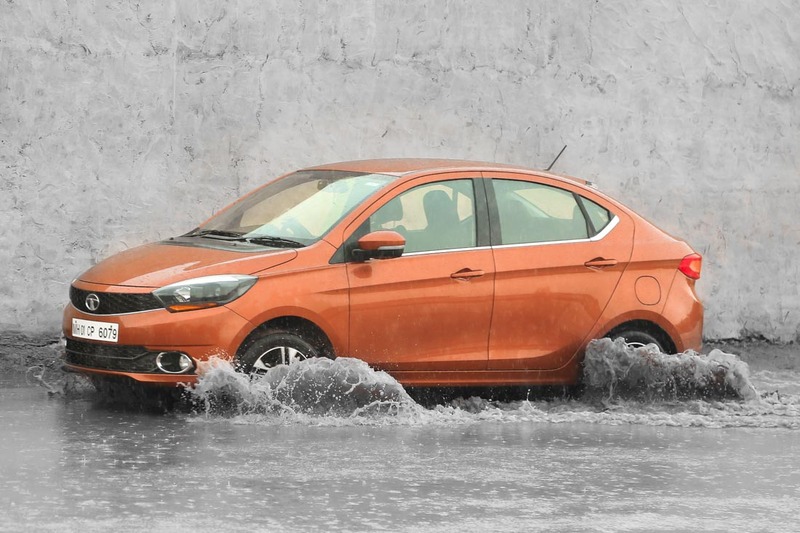 The ride quality too is impressive as the Tigor can take on difficult bumps and uneven roads with ease. It features ABS (Anti-lock Braking System) as standard and therefore the braking is impressive. 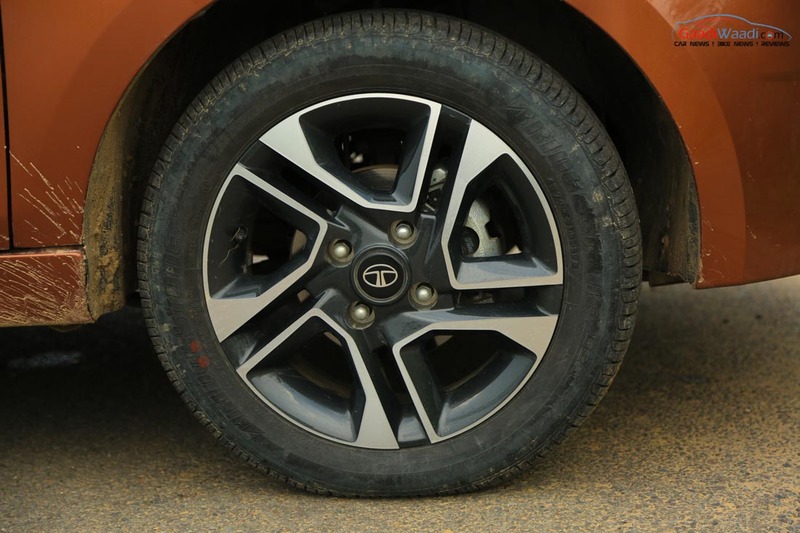 The brakes give you confidence to really attack it even on urban roads and renders ideal feedback. With the emphasis on safety grows bigger, Tata has made dual airbags as standard across the range. 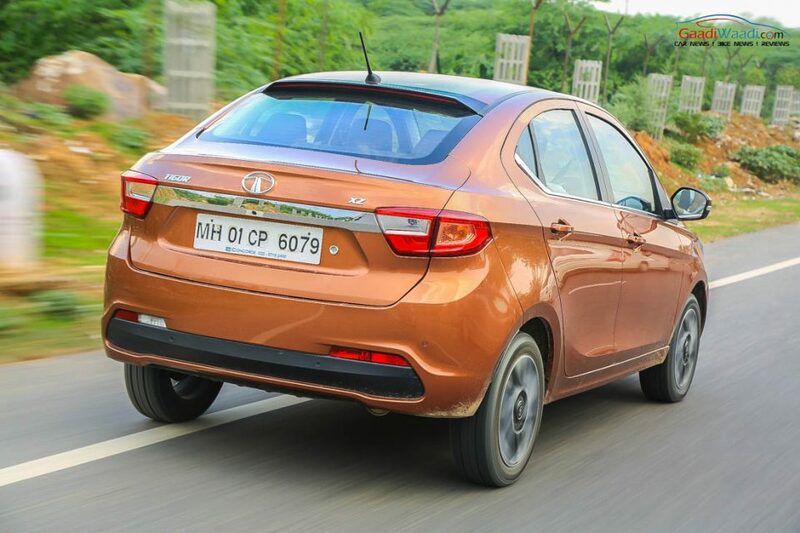 The Tata Tigor subcompact sedan is priced between Rs. 4.59 lakh and Rs. 6.87 lakh (ex-showroom, Delhi). 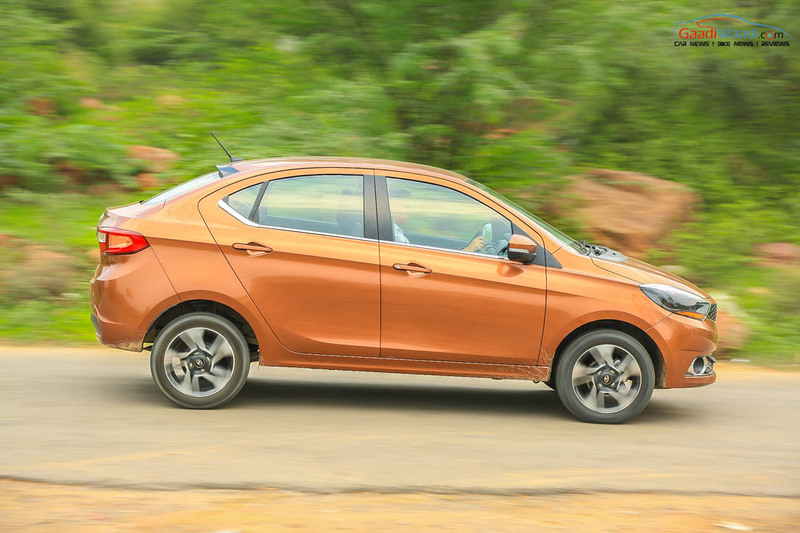 It is the cheapest model in the segment and putting that in to perspective the base petrol costs a staggering Rs. 84,000 cheaper when compared to the entry-level Dzire. The top-spec petrol MT is priced at a smashing Rs. 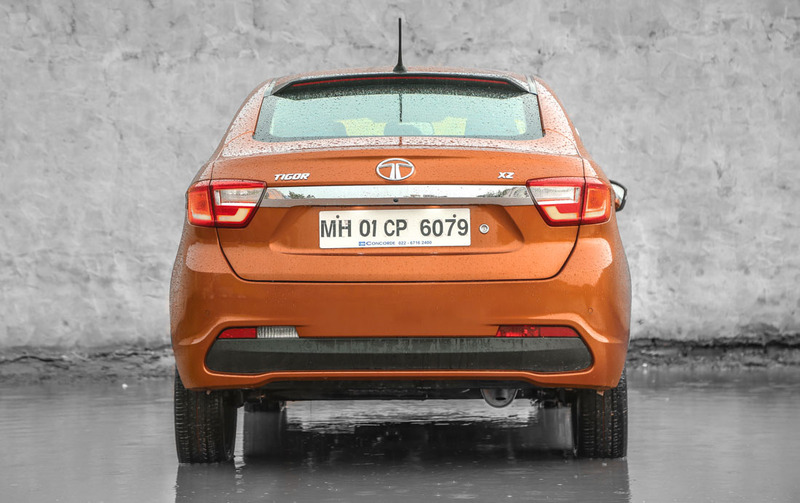 6.04 lakh and hands down it makes the Tigor the best VFM package the segment has ever seen. 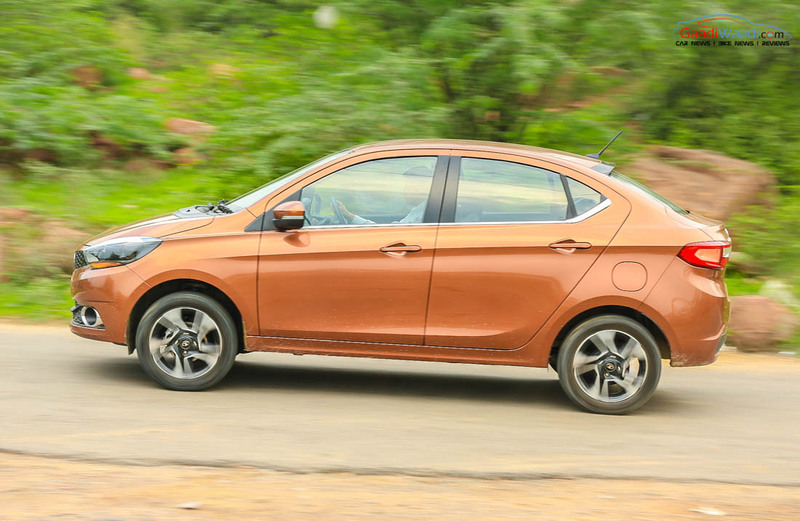 Plotting it against the Dzire ZXI Plus, the Tigor Revotron XZ (O) is Rs. 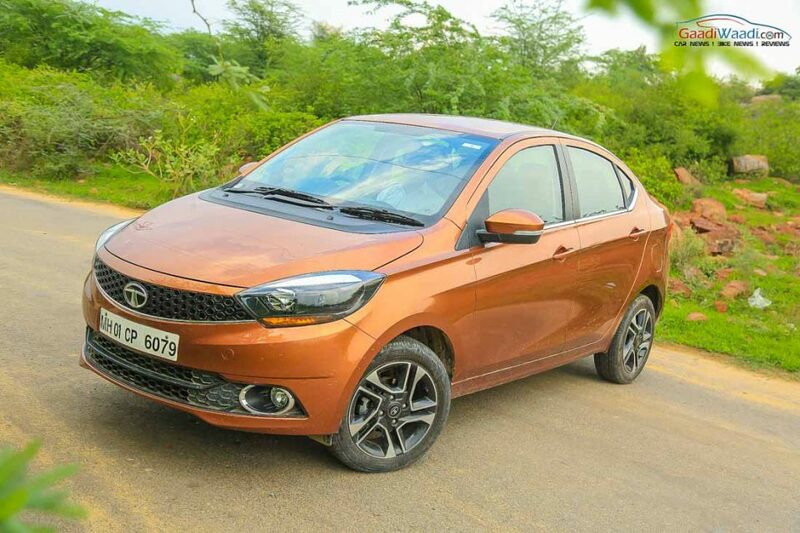 1.84 lakh cheaper as well – making the strongest case for a rival. The Tigor is a well engineered car and is equipped to perfection with stuff like push button start, reversing camera with guidelines, etc. It is the best looking sedan of the lot by a huge margin in our opinion and gives good amount of space for passengers. But the biggest downside has to be the engine. As much as we wish it could be more refined, it does deserve a more powerful engine and of course the multiple driving modes. 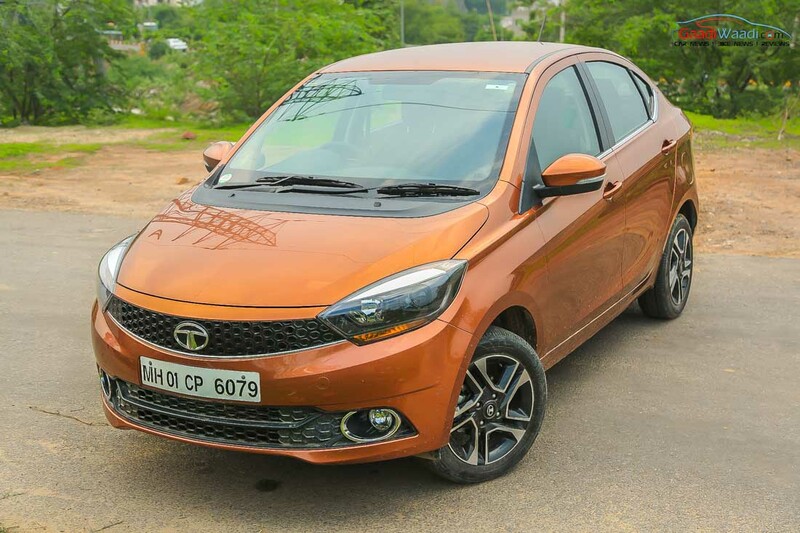 Tata has set ablaze the competition in several respects and has two promising products in Tiago and Tigor for the first-time budget focused buyers. 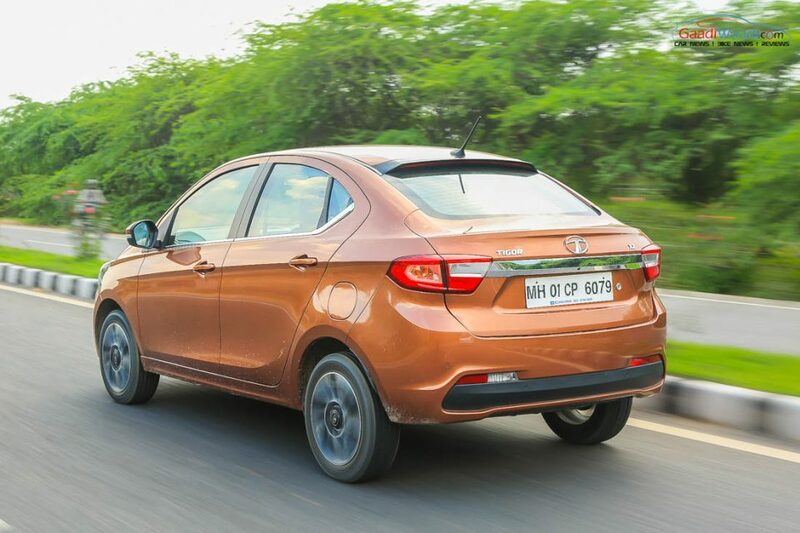 While Tigor’s price range is concentrated for the masses, the Maruti Dzire gives more options to customers and has AMT gearbox in particular to stretch its variants till Rs. 10 lakh. 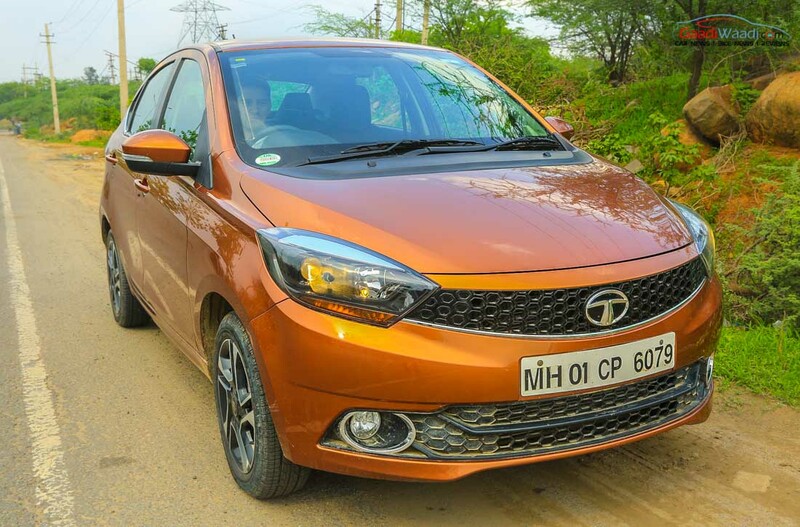 We applaud Tata for such an excellent product in the name of Tigor but we cannot help but think that the engine could have been more powerful to stake its claim comprehensively in the segment.